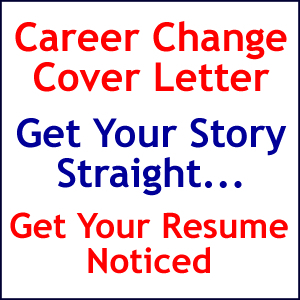 A carefully crafted cover letter gets your resume noticed. A carefully crafted resume gets you the interview. Having your story straight, with examples, in the interview lands you the job. It does not matter how old you are or if you little industry related skills. It is more about what work experience you bring with you. Scroll down to watch a video of Master Career Coach, Unre Visagie explain how to craft your career change cover letter. The career change cover letter is meant to get you the job you’ve chosen at the company you’ve chosen, in the industry that you’ve chosen. We’ve found that if the cover letter is clear it demonstrates that the man has a plan and he is clear on the why and what about the industry, the company, the job and himself. If this is clear then invariably people get hired and we even found that with this clarity people get jobs at companies where no jobs existed or was planned, because they see wow, this man is enthusiastic about my industry, my company, his job and himself. I have to have such a person in my company, I cannot let him pass. I know I don’t have a job right now, but I’m going to make one for him. This happens with about a hundred students a year under Prof. Kroon at the North-West University where we’ve been developing and running this program for seven years. This happened after we used the process to build our companies. We’ve used it for the last ten years in our pro bono community work where we’ve empowered people to get jobs starting from nothing. Today young people with very bad home conditions and education are fully qualified mining engineers. The process truly works. It also works for several people we coach at a $100000 plus level that gets 30% increases in the jobs they want towards building their career; it’s always aimed at the long-term career. If you look at a cover letter it’s you choosing the job, the work you want to do, choosing the company you want to do it in or with, and the industry you want to operate in. When you look at a company you must be very comfortable with the company’s clients. You must be comfortable with the way they serve clients and the way they approach clients. If you then look at your career change cover letter, it must have a maximum of three paragraphs; it cannot be more than three paragraphs. You must state that you have a plan, that you are excited; it must contain facts about the job, the company and the industry. Job, company and industry always stay together. The second thing that your cover letter must show is that you have a clear thread in your past decision making, to actually get you to this point. The cover letter must then state any TRUST. 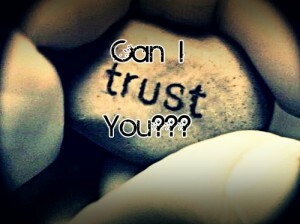 Trust is about four elements: reliability, acceptance, openness and congruence and openness. It must be clear in your cover letter. To get it clear, be ready with factual stories, remembering that we are still a story-telling society. I think we must add something about the power of good stories. A clear, good story has awesome power. Here is a link to a video of Peter Guber: Peter Guber on The Power of Storytelling. So what are the stories you require? You require stories that show your manageability, stories that show your willingness to be involved, stories that show commitment, commitment to results, stories that show initiative. These are the things they interview for. They will ask you three sets of questions in the interview. They will ask open questions, for which you must have ready answers. They will ask you closed questions, for which you must have facts or one of these short stories. Q: You must get ready for the interview in your cover letter? A: Thank you, very importantly, I would advise that you have this clear because what I found is that this has a huge input in the words of the cover letter. The main reason for doing it at this time is to ensure that you are actually backing up your cover letter. This back-up gives you absolute confidence. The company may have a process of pre-screening: telephoning etc. If they call you and you are not ready, you’ve lost. We’ve worked through thousands of CV’s and interviews in our companies and if there is a lack of clarity it goes to the bin. The people who stated clearly in their cover letter why they wanted to work for our company in our industry they got an interview without exception. Q: These stories, are they supposed to be long? How would they look in the cover letter? Are they paragraph stories? A: No, the stories don’t get into your cover letter. The cover letter gives a strong indication that you have the stories. The words in your cover letter reflect your confidence, that’s why you must gain the confidence. That’s why you must get your stories ready. Written is better, but if you are like me writing is not always easy. Keep your stories ready. If your stories are ready and you can tell me why the job, why the company, why the industry and why you, I’ve hardly ever seen anybody fail to even create a job where none existed. That is the power of a well-constructed cover letter. Getting somebody to craft you a clever letter which is not your words is a very dangerous thing. We can assist you, or many other coaches can assist you to help you find your words. On the website you will find further techniques to help you get your words. Secondly, what I find people have great difficulty with is that most of us can’t talk about ourselves, we get totally stuck, so I find that you’ve got to have a soundboard, somebody you trust that is able and capable. In recent examples for instance, the best soundboard we found for a guy that’s earning $140000 was one of his clients. Why would a client help him? It’s a simple technique, to go and say thank you to the client, and to say wow, it’s really great what you are doing and I want to ask you a weird question today. What do you think I do differently, what do you think my next career should be. What does that show to the client that you approach? That you recognize him, he’s a significant person and you really respect and accept him. When you approach people for advice and input, those three things are the most important. Significance, recognition, acceptance and respect are the most powerful approach to humans. Hardly anybody can say no to that. When we get the younger or older people that we coach to get into companies and jobs that didn’t even exist, this is one of the things we prepare them with. To approach with the right approach, only you can help me because you are so great. That comes back to gratefulness. When you approach the person you’ve got to be extremely clear on what you want. Q: Why would I approach a client and ask them how am I different? How does that relate back to the cover letter? A: It is for you to understand and communicate your possible contribution, your unique approach, why you are a valuable addition. It’s very hard to find this by yourself. It’s a bit like a brain surgeon doing brain surgery on himself; not a good idea. And very often, constructing your own stuff is like doing brain surgery on yourself. Q: And specifically in a career change situation? You’ve got to now indicate what your skills are, because you bring a skill set, it’s not like your bringing industry knowledge as such, because you’re making a career change. But you bring who you are to the company. A: Then you find an advisor in that industry, the one that you want to change to, that is how you engage in the industry. Be clear about the how and what. The how and what process must be applied to every phase. Your cover letter must show why you are excited. How are you going to show it if you don’t engage people in the industry, read the magazines, go to some trade shows? You may even meet your next employer at a trade show. Q: And the reason you want to spend this amount of time on your cover letter is that your cover letter gets your CV into the interview bundle? A: Yes, you’ve got to get your CV out of a huge pile into a shortlist, survive the shortlist and then get into an interview. You have to spend time on this. Otherwise you will appear like everyone else. You are going to keep on begging and pleading, and no-one will understand you. They want to help you, but you don’t allow them to. That is why we say the door to success has a handle on the inside. This process of having clarity on the how and what of each element we call the golden key to success. It’s your golden key. To craft the key, to make the key is effort, but it’s the rest of your life. And today is the first day of the rest of your life. Can you put too much effort into this? I don’t think so. We find that people with this clarity are very successful in our second process, where once you have done this, we can assist you to get into companies that don’t even advertise for a job. If you want to really join accompany and you are clear on this, there’s a process whereby you hook yourself in. You go with respect, you go with knowledge, you go with enthusiasm you are irresistible, and you have it in you. I haven’t met a person that doesn’t have it in him. Welcome to the how to write a resume page, a step by step process for building your resume as well as free resume samples to get you started. Career Builder has worked through in excess of four thousand resumes and cover letters over the past ten years. We have recruited more than five hundred people in our own companies as well as many other companies. There are many ways one can use a resume to build a career, other than landing a job. Use our Working Resume process to inform those around you and shape your career. We share these processes with you; help us develop them further by telling us how you used them and what happened. On Career Builder you will find tested ways to develop your career using your resume, as well as straightforward guidelines on what recruiters are looking for in a resume and what information a cover letter could contain. The first section of this page consists of how to write a resume, the second part consists of a process we have developed and use in our own companies, the Working Resume process. Use our resume writing tips to build a working resume. If you need more examples visit our free sample resume page. Resume writing is a great opportunity to talk about you. Go with your personal gut feeling on how to make your resume flow. Remember to keep the focus on you and the choices you made in your career, why you made those choices and what you learned from them. Our how to write a resume section includes all the information you will need to write a working resume. If you want more examples go to our free sample resume page. Include the normal personal details in your resume. Include everything the recruiter might need to get in contact with you, for example a mobile number as well as a number for a land line. In our how to write a resume section we do not include a list of all the specific personal details required. Go through our free sample resume page to get an idea of what is expected. Include all personal information that is necessary; be careful to include too much detail. The resume is about you and your choices; be wary to do damage to your resume by placing too much focus on other information contained in your resume. As we said earlier, we do not include a detailed list in the how to write a resume section, visit our free resume templates and free sample resume page for examples on detailed personal details. Our how to write a resume section includes all the information you will need to write a working resume. If you want more examples go to our free sample resume page. The second approach is to write a general cover letter. This cover letter is focused on you and your achievements, your major choices in life and how they fit with the career opportunity presenting itself. Most recruiters prefer the second option. It is perceived as more natural and they get to know you as an individual. In how to write a resume, we use the second option throughout our guidelines on resumes. Where did you finish high school? Which subjects did you have in your last year? Include your symbols here as well, even though it is on your school certificate. It makes reading your resume easier for the recruiter. Which sport did you do in school? Which extracurricular activities did you participate in? Why did I select the subjects I did in school? Which subjects did you enjoy and which subjects did you not enjoy? Why did you enjoy the subjects you did? Why did you not enjoy the other subjects? Why did I choose to take part in sport? Which sport did I enjoy and which not? Why did I enjoy certain sports and other not? Was I captaining my team? If you were a leader of some kind, how did it come about and did you enjoy it or not and why? Ask the same questions about your extracurricular activities. Note that the questions we have listed we use frequently in our how to write a resume process and resume coaching , if you wish to expand a bit on these questions feel free to do so. Let us know which questions worked for you, if you need more help writing your resume contact one of our experts. Keep your resume focused on who you are and the choices you made, why you made them and what you learned from them. Recruiters want to get to know you as an individual, understanding the choices you made can assist them in making a more informed decision. how to write a resume gives you the tools to build a resume that talks to the recruiters. Being thorough in your presentation of self puts you leagues ahead of the rest! Which subjects did you have? Include your symbols here as well, even though it is on your degree. It makes reading your resume easier for the recruiter. Which sport did you take part in? What else did you do at university? Why did I choose the direction I did? Why did I enjoy certain sports and others not? Ask the same questions concerning your other activities at university. Keep your resume focused on who you are and the choices you made, why you made them and what you learned from them. Recruiters want to get to know you as an individual, understanding the choices you made can assist them in making a more informed choice. Being thorough in your presentation of self puts you leagues ahead of the rest! Add the summary map of your skills to your resume for the benefit of the recruiter and yourself. This map contains a quick summary of the skills you have acquired over the years, making it easy for the recruiter to form an overall idea of what your skills are and what you have been focusing on in your previous endeavors. The above example is a sample of how such a map could look like in your resume. how to write a resume that works for you will ultimately be shaped by your career direction and the choices you made in your life. Add more columns or remove some to fit the kind of summary of your skills you would like to present in your resume. Keep in mind the purpose of the skills table is to present the recruiter with a quick summary of where you have spent your time in growing your career competencies. If you have had an extensive career history it is worth it to give a summary map of what you have done; starting with your most recent position. This map contains a quick summary of the different jobs you have had, for how long and what you did and learned. Make it easy for the recruiter to form an overall idea of what your career path were. The above example is just a sample of how such a map could look like in your resume. how to write a resume that works for you will ultimately be shaped by your career direction and the choices you made in your life. Add more columns or remove some to fit the kind of summary of the career path you have followed and want to present in your resume. Keep in mind the purpose of the summary table is to present the recruiter with a quick summary of where you have spent your time in growing which career competencies. Give a quick summary of the specific position you held. Where were you employed, with which company, country ext.? For what period of time and which calendar year or years were you employed here? What was expected of you, what was your job description? Include major projects you were part of during your employment with this company. This is very important! Do not just state what was expected, state what you achieved and be specific. For example if you were supposed to drink two cups of coffee for the project and you completed three, say it. Give a summary of why you achieved this. Again focus on the choices you made and why. Tell the recruiter what you learned from this experience. Give all the information and at the same time only the information that is truly necessary. At the end of this specific position what was your major achievements? Give your reasons for wanting to leave your current position. Stay away from “to be discussed”, it reflects badly on your relationship with your current employer; if you cannot discuss this what does it say? Be careful to leave space for interpretation by the recruiter. State the facts. What was your remuneration on leaving? Be open about this, stay away from “available on request”. Recruiters want this information to be there. Ask the same questions for your second job, third job and etcetera. If you have a specific expectation, state it as such. Make it clear that you are open for discussion on the subject if what you expect is not a cast in stone requirement. On your resume reference page give a list of your major achievements rather than a complete list of all the one day courses you have ever done. A comprehensive, tedious list detracts rather than adds to your resume. It might seem as if you consider going on the course more important than applying the knowledge. Include achievements that fit flow of your resume, give detail that add to the choices you have made in your career up to date. Refer to other less important courses where applicable in the body of your resume, say something like “I went on this course to learn more about a specific challenge I faced, I used this knowledge to achieve this.” When compiling the other how to write a resume sections you will find a place where you can fit course details like this. Supply a reference for every job. If you say that a reference is available on request, it could mean you were not able to manage the relationship with that specific employer. Supply adequate contact details for every person on the list. If for whatever reason you do not feel comfortable including an individuals details; rather don’t include that reference in your resume reference page. (no pun intended :-). This process was forged in the fire of building real careers in our own companies as well as those of others. Freely apply these processes in your career. Many processes were developed to assist our Working Resume process. Some have been published; others are still in the process of being compiled for publishing. We share these remarkable career developing processes with you and hope to exchange value with you make them your own. We will refine the processes more within the coming weeks and months. Apply the Working Resume process while building your resume; use the guidelines in our how to write a resume section. 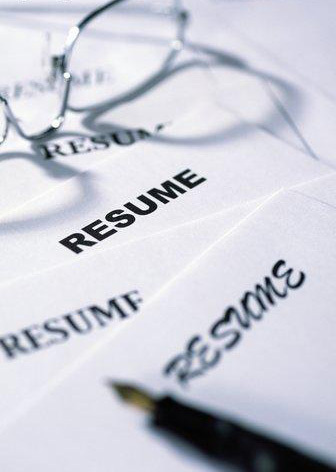 Using the Continuous Resume process within your current job might seem as if you are looking for another job. This might be true or not. In both instances remember to frame the conversation. Say something like, “You discovered this Continuous Resume process on the internet; what do they think of it and do they think it will be possible to implement this process in your company and team?.” Framing a conversation before you rush into detail will set the stage for high-quality information to flow. Your resume should grow and develop as you develop your career skills and competencies. Ones resume should not only become a priority once you start looking for a job. It is an amazing tool! One can use it to inform others of ones growth in competencies. Use it to measure yourself and check if you are where you planned to be. In other words it could be a compelling event for you, updating your resume every three months and observing your personal growth or maybe one did not grow. Then what to do about the facts you gather from updating your resume. Using this information one is able to start planning future actions and next time a resume update is due, it will be a positive experience! Build the first version of this dynamic resume using the how to write a resume section. Our how to write a resume section includes all the information you will need to write a working resume. If you want more examples go to our free resume template and free sample resume page. Review and update your competencies by checking with colleagues, friends and family. This is a clever form of advertising yourself; without being obvious one makes it known how you have grown in skills and competencies. People know what to come to you for and feel more comfortable with the fact that you can get the job done, because they have seen your resume. Ask these people for advice and input on your resume and what you should add to it. One also gains automatic input into future decisions based on the direction your resume makes clear your career seems to be taking. People love to give advice, seek this advice and inform them without them thinking you are being untoward. Always remember to say thank you to them. Even consider including them in your resume as a thank you for an insight gained from them; always ask their permission first. Build your resume into a format that can be easily updated using the input of other people; use our how to write a resume section tips and techniques. Remember to frame the conversation before you ask for input. Not framing a conversation can have negative effects. Through asking and giving input one informs all those working with you. Identify the individuals you think would benefit from being better informed on matters concerning you and your skills. Ask their input on your resume. The effect of informing is of huge advantage to you, the process of asking for input is a natural and non-invasive method of informing. Use this method of asking input in everyday career building. People love to give their input. Use the resume writing tips we discuss in the how to write a resume section to build a working resume. A very effective way to use the Continuous Resume process is within a group. Your team at work could use the Continuous Resume process to stay informed of the entire team member’s growth in skills and competencies. The group can challenge one another on different aspects which might require some more focus. All will be aware of one another’s progress over that period of time creating a compelling event for all to look forward to and develop ones resume toward that group meeting. If you need help writing your resume, go through our how to write a resume section. If you cannot find a resume writing solution there, please contact one of our experts. From these group resume processes certain actions steps to take will develop; actions toward the development of your resume. Test with the group which future actions would best fit the direction your career is taking. Career Builder has worked through in excess of four thousand resumes and cover letters over the past ten years. We have recruited more than five hundred people in our own companies as well as many other companies. There are many ways one can use a resume to build a career, other than landing a job. Use our Working Resume process to inform those around you and shape your career. We share these processes with you; help us develop them further by telling us how you used them and what happened. On Career Builder you will find tested ways to develop your career using your resume, as well as straightforward guidelines on what recruiters are looking for in a resume and what information a cover letter could contain. Before you start building your resume, you have to Get this free report! The first section of this page consists of how to write a resume, the second part consists of a process we have developed and used in our own companies, the continuous Resume® process. Use our resume writing tips to build a working resume. If you need more examples visit our free sample resume page. When writing a resume one wants a whole library of words describing the unique individual that is you. We recommend you do a few self discovery exercises to get information on how you do your best work and how to best describe yourself to the interviewer. Include the normal personal details in your resume. Include everything the recruiter might need to get in contact with you, for example a mobile number as well as a number for a land line. In our how to write a resume section we do not include a list of all the specific personal details required. Go through our free sample resume page to get an idea of what is expected. Include all personal information that is necessary; be careful to include too much detail. The resume is about you and your choices; be wary to do damage to your resume by placing too much focus on other information contained in your resume. As we said earlier, we do not include a detailed list in the how to write a resume section, visit our free resume templates and free sample resume page for examples on detailed personal details. The second approach is to write a general cover letter. This cover letter is focused on you and your achievements, your major choices in life and how they fit with the career opportunity presenting itself. Most recruiters prefer the second option. It is perceived as more natural and they get to know you as an individual. In how to write a resume, we use the second option throughout our guidelines on resumes. Our how to write a resume section includes all the information you will need to write a working resume. If you want more examples go to our free sample resume page. Ask the same questions about your extracurricular activities. Note that the questions we have listed we use frequently in our how to write a resume process and resume coaching, if you wish to expand a bit on these questions feel free to do so. Let us know which questions worked for you. If you need more help writing your resume contact one of our experts. Keep your resume focused on who you are and the choices you made, why you made them and what you learned from them. Recruiters want to get to know you as an individual, understanding the choices you made can assist them in making a more informed decision. How to write a resume gives you the tools to build a resume that talks to recruiters. Being thorough in your presentation of self puts you leagues ahead of the rest! Our how to write a resume section includes all the information you will need to write a working resume. If you want more examples go to our free sample resume page. Do a few self discovery exercises to get words describing you, these words will assist you when compiling your resume. How to write a resume that works for you will ultimately be shaped by your career direction and the choices you made in your life. Add more columns or remove some to fit the kind of summary of your skills you would like to present in your resume. Keep in mind the purpose of the skills table is to present the recruiter with a quick summary of where you have spent your time in growing your career competencies. How to write a resume that works for you will ultimately be shaped by your career direction and the choices you make in your life. Add more columns or remove some to fit the kind of summary of the career path you have followed and want to present in your resume. Keep in mind the purpose of the summary table is to present the recruiter with a quick summary of where you have spent your time in growing which career competencies. Where were you employed, with which company, country etc.? For example if you were supposed to drink two cups of coffee for the project and you drank three, mention it. Give a summary of why you achieved this. Again focus on the choices you made and why. Tell the recruiter what you learned from this experience. Give all the necessary information relating to your skills and decision making. List all your major achievements concerning this position. Ask the same questions for your second job, third job and etc. If you have a specific expectation, state it as such. Make it clear that you are open for discussion on the subject if what you expect is not a cast in stone. On your resume reference page give a list of your major achievements rather than a complete list of all the one day courses you have ever done. A comprehensive, tedious list detracts rather than adds to your resume. It might seem as if you consider going on the course more important than applying the knowledge. Include achievements that fit the flow of your resume, relating to specific courses; give detail that add to the choices you have made in your career up to date. Refer to other less important courses where applicable in the body of your resume, say something like “I went on this course to learn more about a specific challenge I faced, I used this knowledge to achieve this”. When compiling the other how to write a resume sections you will find a place where you can fit course details like this. Supply a reference for every job. If you say that a reference is available on request, it could mean you were not able to manage the relationship with that specific employer. Supply adequate contact details for every person on the list. If for whatever reason you do not feel comfortable including an individuals details; rather don’t include that reference in your resume reference page. It is also important to understand what the interviewer wants! We have used hundreds of books to help refine our interviewing skills over the years. The book we have gained the most from is Hiring the Best by Martin Yate. At Career Builder we apply the Working Resume process in an ongoing basis (no pun intended :-). This process was forged in the fire of building real careers in our own companies as well as those of others. Freely apply these processes in your career. Many processes were developed to assist with Working Resume. Some have been published; others are still in the process of being compiled for publishing. We share these remarkable career developing processes with you and hope to exchange value with you. Make them your own. Using the Continuous Resume process within your current job might seem as if you are looking for another job. This might be true or not. In both cases remember to frame the conversation. Say something like, “I discovered this Continuous Resume process on the internet; what do you think of it and will it be possible to implement this process in the company and team?”. Framing a conversation before you rush into detail will set the stage for high-quality information to flow. Your resume should grow and develop as you develop your career skills and competencies. One’s resume should not only become a priority once you start looking for a job. It is an amazing tool! One can use it to inform others of one’s growth. Use it to measure yourself and check if you are where you planned to be. It could be a compelling event for you, updating your resume every three months and observing your personal growth, or comfort zone. Then decide what to do about the facts you gathered from updating your resume. Using this information you are able to start planning future actions; the next time a resume update is due, it will be a positive experience! Build the first version of this dynamic resume using the how to write a resume section. Review and update your skills by checking with colleagues, friends and family. This is a clever form of advertising yourself; without being obvious you make it known how you have grown. People know what to expect from you and feel more comfortable with the fact that you can get the job done, since they are part of your resume process. Ask these people for advice and input on your resume and what you should add to it. You also gain automatic input in future decisions based on your decisions. Your resume makes clear which direction your career is taking. People love to give advice, seek this advice and inform them without being untoward. Always remember to thank them. Even consider including them in your resume as a thank you for an insight gained; always ask their permission first. Build your resume into a format that can be easily updated using the input of other people; use our how to write a resume section tips and techniques. A very effective way to use the Continuous Resume process is within a group. Your team at work could use the Continuous Resume process to stay informed of the entire team’s growth. The group can challenge one another on different aspects which might require some more focus. 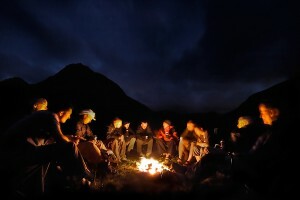 Everyone will be aware of one another’s progress over a period of time, creating a compelling event to look forward to. Develop your resume toward that group meeting. If you need help writing your resume, go through our how to write a resume section. If you cannot find a resume writing solution there, please contact one of our experts. From these group resume processes certain action steps will surface; actions toward the development of your resume. Test with the group which future actions would best fit the direction your career is taking.